Once you see that your teeth are stained or appear dull, it’s hard not to notice the discoloration every time you look in the mirror. For many people, stained teeth are unavoidable, so we’ve made professional teeth-whitening simple and convenient enough to be applied without taking time from your busy schedule. If your teeth have lost some of their youthful glow, or if one or more teeth develop stains on their surfaces, then teeth-whitening may be the most convenient cosmetic option for improving your smile. You have an endless number of options when it comes to over-the-counter (OTC) teeth-whitening products, but none of them are as effective as professional treatment. Still, many patients opt for OTC products because they’re convenient, but end up with unsatisfactory results or permanent damage to their teeth. Our professional teeth-whitening system consists of custom trays that are designed to fit your teeth and a supply of highly potent, but safe, bleaching agent. The whitening kit allows you to brighten your teeth from the comfort of your home and with the potency of professional dental treatment. The secret behind professional teeth-whitening is the bleaching agent, which is peroxide-based and highly-effective at removing stains from your teeth’s surfaces. After your trays are created, you will be instructed how to use them to apply the bleaching gel evenly over your teeth. You must wear the trays for at least one to two hours every day, though you can choose to wear them at whatever time is most convenient for you. 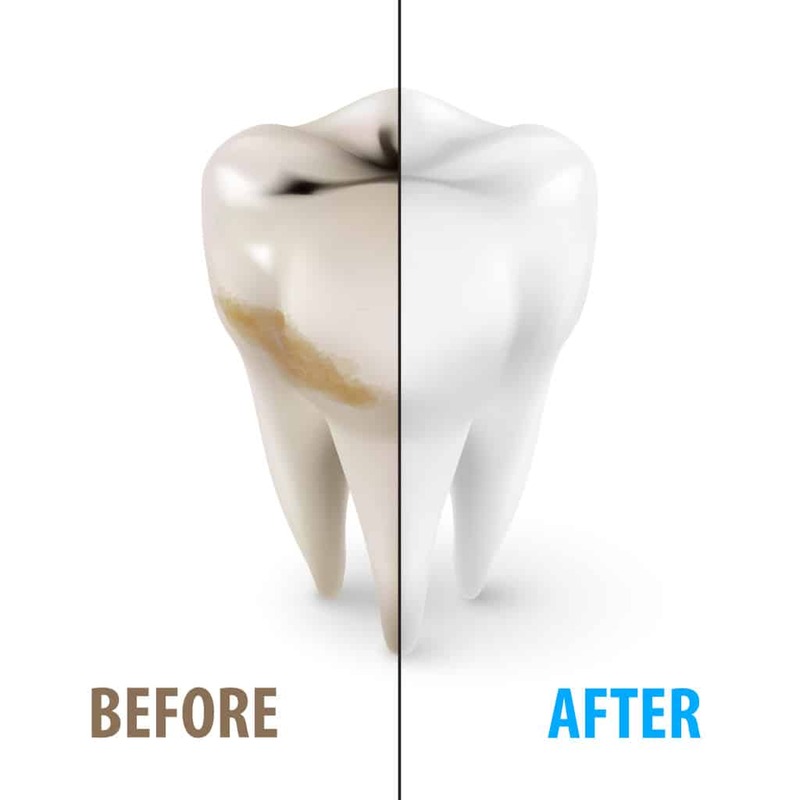 Once your treatment is complete, your teeth will be stain-free, and your smile will be up to 8-10 shades brighter! You can keep the trays and receive an additional supply of the bleaching agent to touchup your smile in the future, before stains become prominent again.